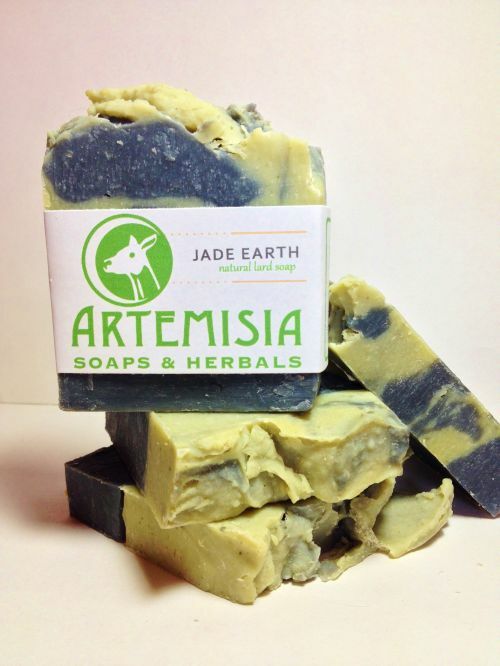 Made by Artemisia Soaps, a local soapmaker based out of Antwerp, OH. Jade Earth is made with lard, olive and coconut oil as well as a combination of grounding essential oils including cedarwood and cinnamon. Colored with french green clay and activated charcoal. Each bar is approx. 4.5 ounces.